Brent currently serves as the Vice President of Business Development for Caiman Energy II and Blue Racer Midstream. In his current position, he is focused on developing gas gathering, processing, and fractionation opportunities in Ohio and Pennsylvania in the Utica Shale. Prior to joining Caiman in 2011, Brent worked for 14 years at Dominion Resources in various Operations, Engineer, and Business Development roles. Most recently, Brent was responsible for system planning as well as business development from local production enhancement, non-traditional services, and industrial customers. Brent graduated from The University of Akron with a Bachelors degree in Mechanical Engineering and a Masters degree in Business Administration. Brent is also a certified Six Sigma process improvement Black Belt. 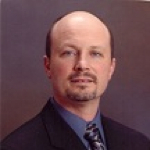 Brent is an Ohio Oil and Gas Association (OOGA) Board of Trustees member.